JustFab, valued at over $1 billion, features in-depth quizzes and an intelligent suggestion engine to thoroughly onboard new customers. The fashion retailer takes its product personalization in email and on the website to the next level and is just one of three brands to receive perfect marks for both of these channels (Sephora and JustFab’s sister brand ShoeDazzle are the other two). 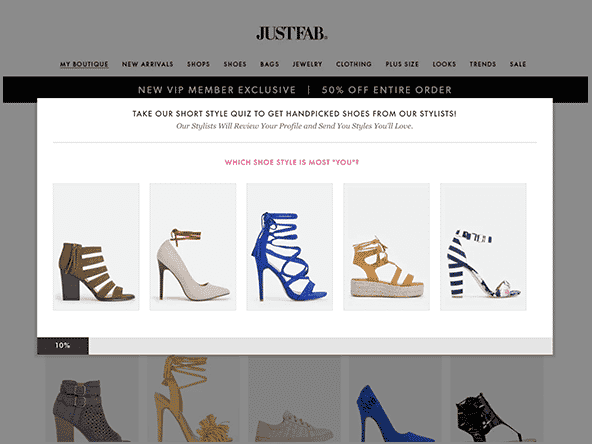 JustFab uses interest-based personalization at the category and product level. 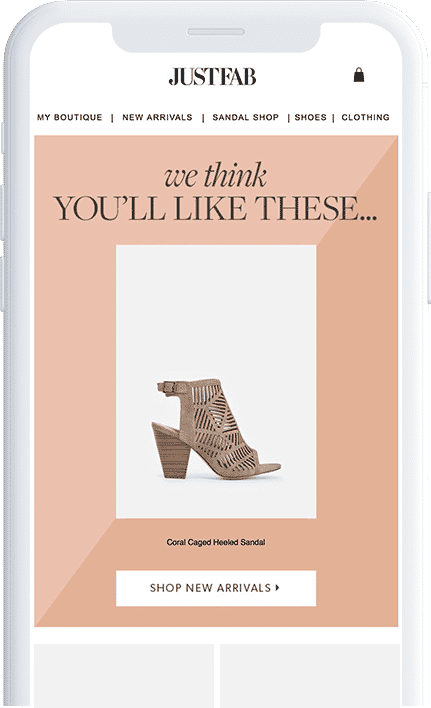 Depending on your interests, JustFab serves emails leading with the category each unique customer prefers, in addition to personalized product recommendations from within that category. JustFab masters personalization in abandoned cart emails. 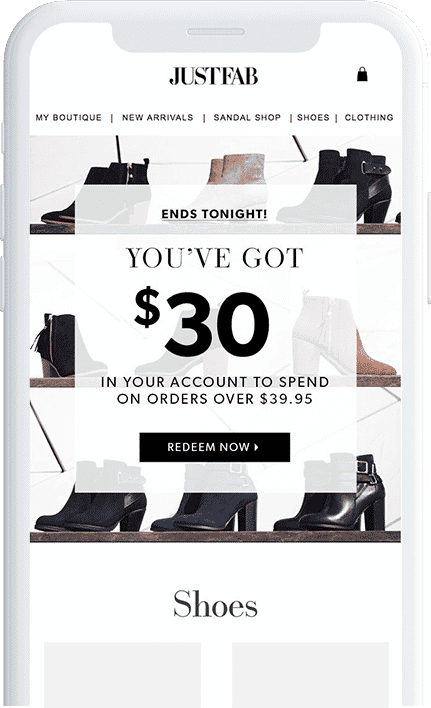 While most marketers send one abandoned cart message, JustFab integrates abandonment messaging throughout their marketing, going so far as to show the number of items in your cart in daily email campaigns. While this is a “little, thing”, the team at JustFab takes such an advanced approach to onsite and email personalization that they now have the have the ability to consistently test and optimize for incremental value. JustFab’s email program featured the most robust email content personalization evaluated on the 2018 Index. JustFab members receive email with personalized subject lines, send times, products based on interest, historical behaviors, product categories, and much more. JustFab onboards customers upon sign-up with a robust online style quiz and immediately begins personalizing the experience from the point of onboarding. As customers shop more, product and content recommendations get smarter over time. While many brands evaluated for our Index had a rudimentary-level approach to triggered email messaging, JustFab’s triggered email campaigns and strategy stood apart from the pack with robust welcome, activation, post-purchase series, birthday wishes, reengagement series and beyond with messaging tied to multiple customer variables.